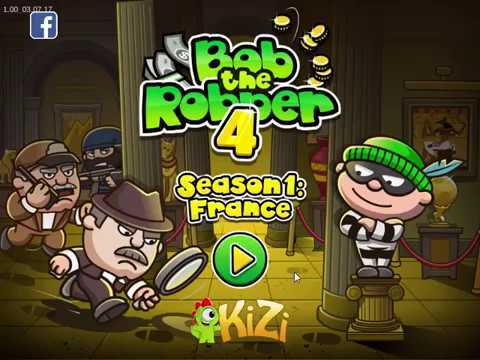 Bob The Robber 4 - Spiele die kostenlos bei PacoGames.com! The feared thief Bob was given a tip for another robbery that could make him a lot of money. The informant did not lie. This luxury district right in the center of Paris is full of big houses filled with diamonds, money and many other valuable items. Most house are guarded by security guys, but Bob has plenty of experience to fool them and leave the house with decent loot. Beware of the new security droids, though! Guarding robots are not here to make a friendship with you, and if one of them reveal you in any unfair action, it will be the end of your thief career. Sneak through the houses, avoid the guards and find the most valuable thing possible you could carry with you. Have fun.